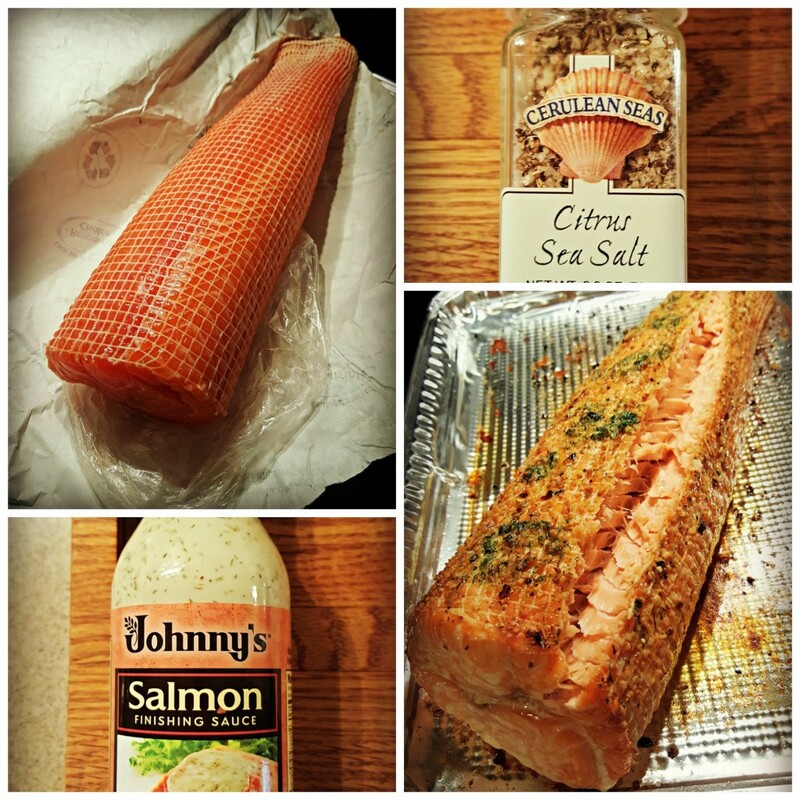 Salmon Roast Recipe – They loved the Salmon roast served with lemon dill sauce! How often do you come across a huge salmon fillet rolled into a roast? It is an easy way to serve a crowd of seafood lovers and makes am impressive main dish at any gathering. Make Any Dinner Special With This Salmon Roast Recipe! As usual, it is a spur of the moment addition to the weekly menu! I had never seen one until this past week. 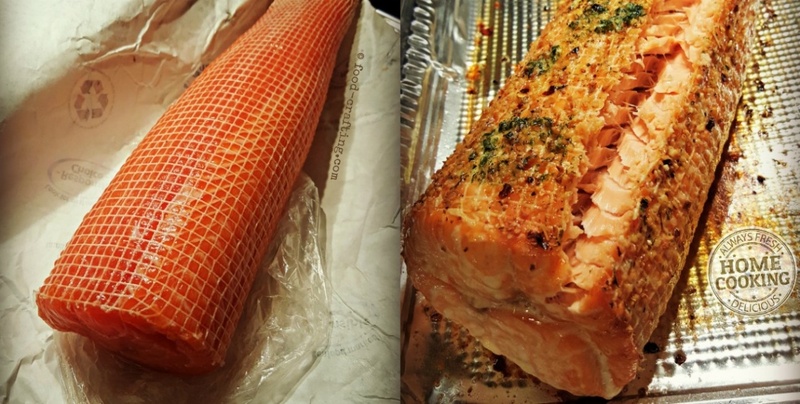 Imagine walking past the seafood counter of my neighborhood Safeway® supermarket to discover a whole salmon fillet, skinned and rolled into a roast. How could I pass it up? Visions of recipes swirled in my head as the roast was weighed and wrapped. Diane shares more recipes and everything you want to know about salmon! It has happened before and it was happening again. The menu for Sunday dinner had just flipped on a few more dollars – and a fillet of fish. A salmon roast with lemon dill Sauce is perfect if you are searching for a new way to serve fish for a crowd. Imagine this salmon roast glazed in a soy and ginger sauce and plated with by baby bok choy, baby corn, and carrots. Yum! The salmon was served with steamed cauliflower, steamed green beans and a simple sliced tomato salad. Drizzle a small amount olive oil on the pan. Place the salmon on the olive oil then flip over to coat both sides evenly. Sprinkle the salmon roast with Cerulean Seas® Citrus Sea Salt ( or any citrus flavored salt) and lemon pepper (or your choice of herbs and spices). Keep the small “tail” end of the roast covered with foil under the last ten or fifteen minutes to prevent it from drying. Roast at 375* for a total of 45 minutes or until done – this 3.5 pounds roast took just under an hour. Half way through cooking time, drizzle garlic butter over the fish. The netting did not come off easily while the fish was hot. However, enough of the net pulled off to be able to create servings which were them topped with a lemon dill “finishing” sauce. This Salmon Roast Recipe with lemon dill sauce made 6 generous servings.